Don’t forget to come back for the sides! Coming up, I’ve got: honey garlic roasted sprouts, lemongrass stuffing, and miso mashed potatoes. 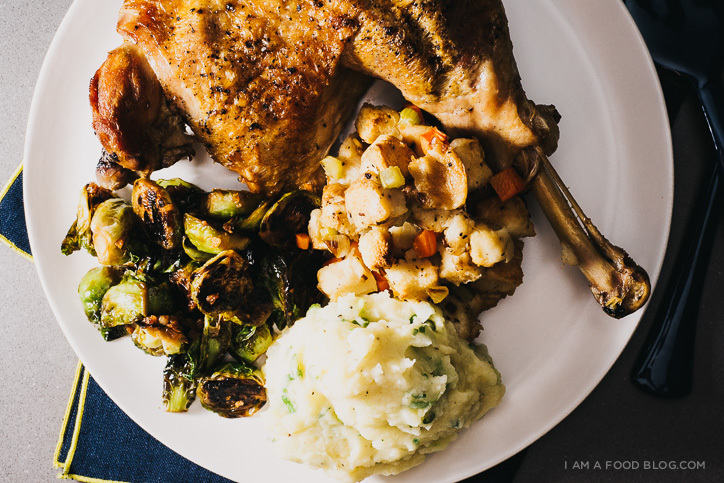 It’s an I am a Food Blog Thanksgiving! I made a tiny Thanksgiving for two featuring some Asian flavors. 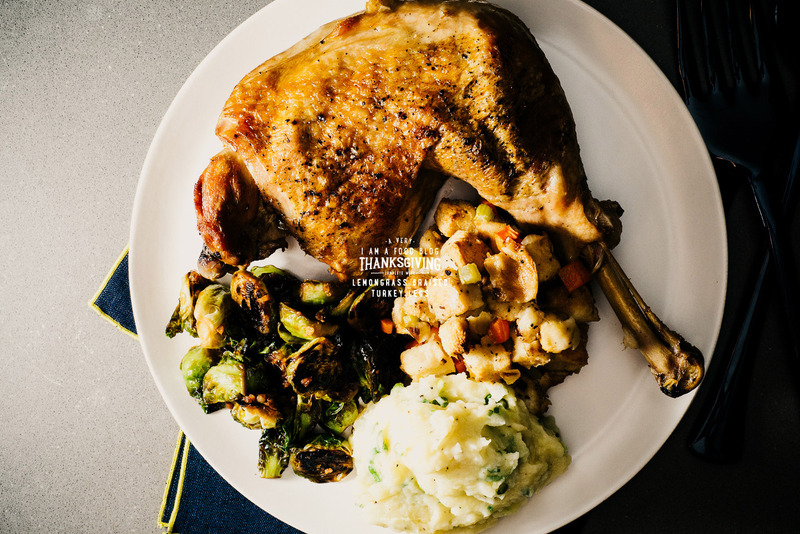 Seeing recipes like this, I feel almost betrayed I don’t get to celebrate thanksgiving myself! I love this! I’ve been wondering what to do with just my husband and I this year! I love this Thanksgiving-for-two recipe and the Asian touch! Can’t wait for the sides. girl, your food writing makes me so hungry. I’m not a leg person — I prefer turkey breast — but your description makes me think that this crispy juicy combo is exactly what I should be getting addicted to. I wonder how this would work with a breast. I make a breast for The Husband and I because he doesn’t like dark meat (where the flavor is, right?). Think I could use a breast with this recipe? 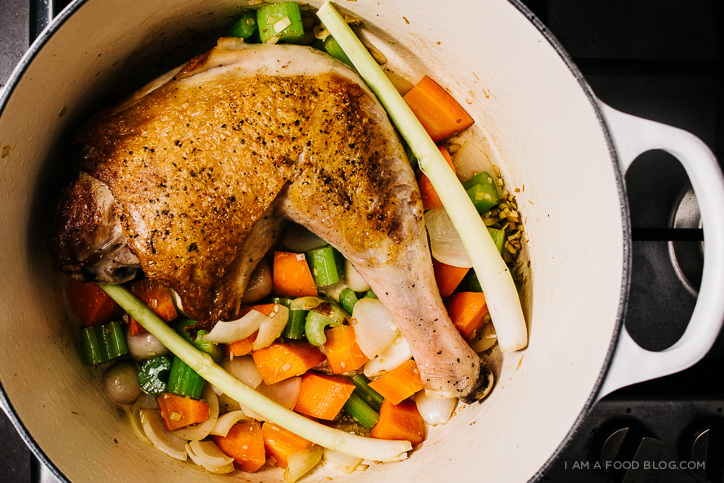 ooh, i don’t think i’d braise a breast – it’ll end up too dry. i don’t usually cook breasts, but this recipe looks pretty good! I am so for Thanksgiving for two! Love this! This looks amazing Stephanie! 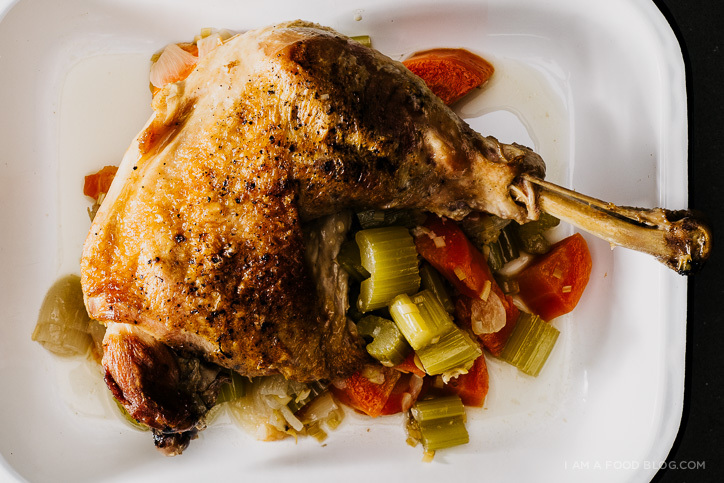 I love turkey/ chicken legs – so moist and full of flavour! Also, snap with the thanksgiving for two – these recipes are perfect for me! 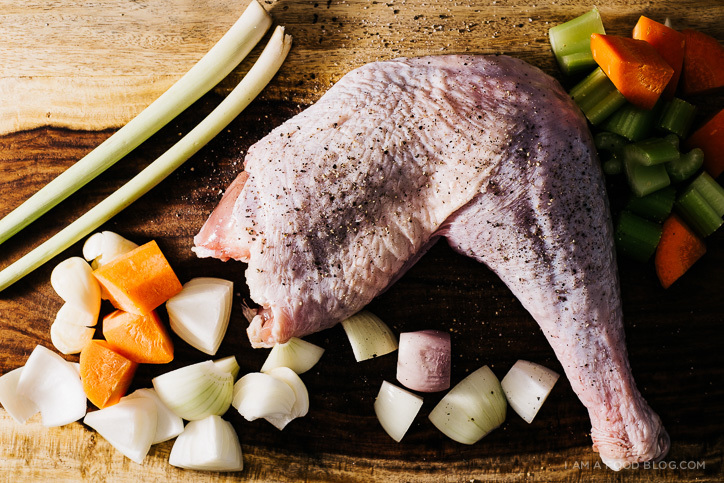 I was just wondering what to make for Thanksgiving this year…me and my spouse are vegetarians, and our 2 kids are carnivores, but I didn’t want to make a whole turkey just for the kids! This looks absolutely perfect. Am so glad I stumbled across your beautiful blog!